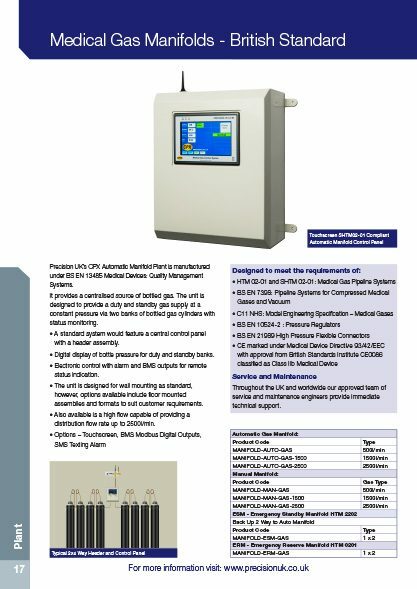 Precision UK’s CPX Automatic Manifold Plant is manufactured under BS EN 13485 Medical Devices: Quality Management Systems. It provides a centralised source of bottled gas. 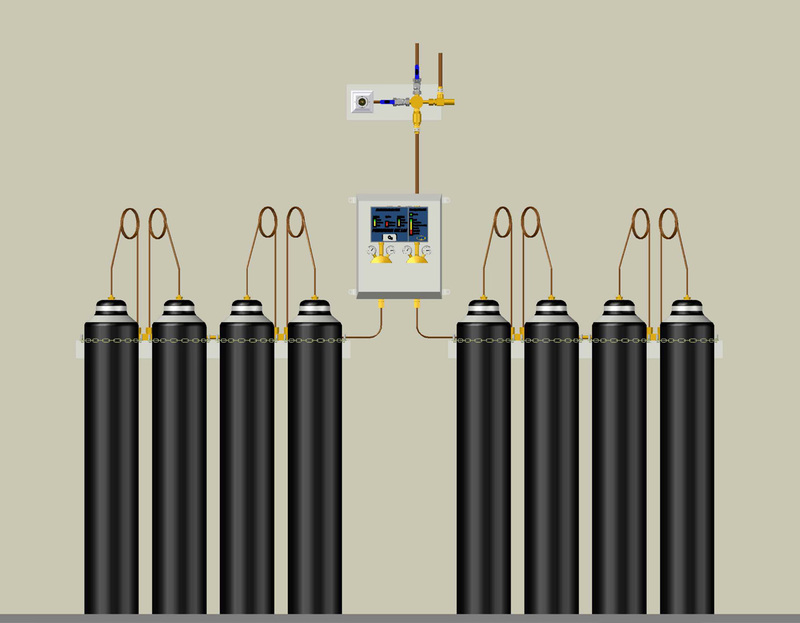 The unit is designed to provide a duty and standby gas supply at a constant pressure via two banks of bottled gas cylinders with status monitoring. A standard system would feature a central control panel with a header assembly. 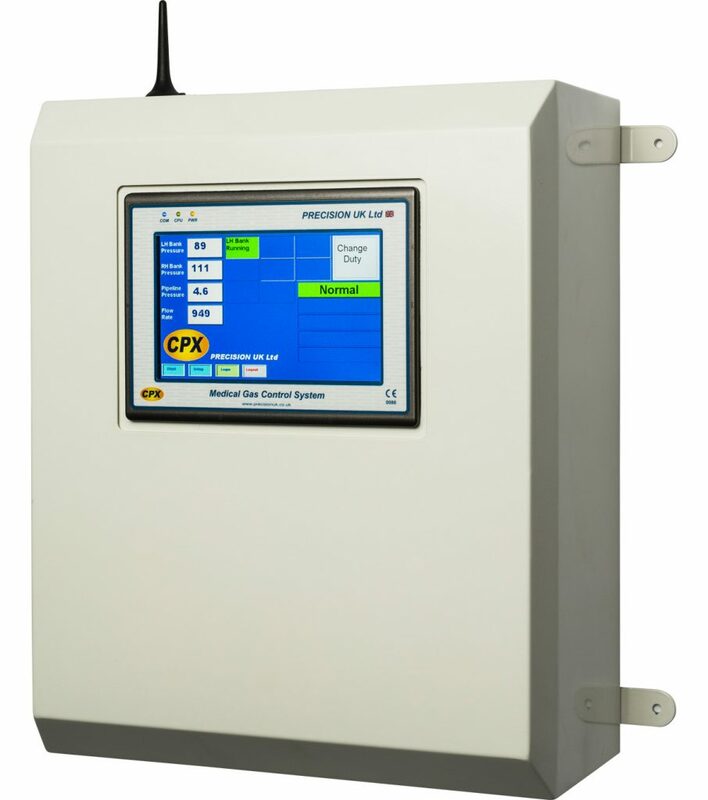 Digital display of bottle pressure for duty and standby banks. Electronic control with alarm and BMS outputs for remote status indication. The unit is designed for wall mounting as standard, however, options available include floor mounted assemblies and formats to suit customer requirements. Also available is a high flow capable of providing a distribution flow rate up to 2500l/min. Throughout the UK and worldwide our approved team of service and maintenance engineers provide immediate technical support.